4) User can be use promo code 3 Times during offer period. 5) Cashback amount will be credited in your Paytm wallet within 24 hours. 6) Promo code is valid only on Metro Card recharge. 7) Paytm reserve the right to end any or all offers at their discretion without any prior notice. 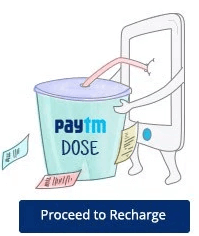 Tags – Paytm METRO Card Offer, Paytm Promo Codes, Paytm Online Recharge Offer, Free Recharge Tricks, Recharge Tricks, Free Recharge, Cashback And Discount Coupons, Paytm Cashback Offers.